The history of the Admiral Group is one of amazing growth and inspired innovation. Admiral launched in January 1993 with just one brand, zero customers and 57 members of staff. However, at December 2010, the Group had over 2.75 million customers insured and over 4500 members of staff worldwide. Group turnover, comprising total premiums written and other revenue rose 47% in 2010 to £1.58 billion (2009: £1.08 billion). The Group's dividend policy is to pay 65% of post-tax profits as a normal dividend and to pay a further special dividend comprising earnings not required to be held in the Group for solvency or buffers. The Group entered into the new Solvency II regime in January with surplus capital and is returning additional capital to shareholders in a phased manner, up to the first half of 2018. The current expectation is for the total additional return on capital to be in the region of £100 million - £150 million. "I would describe 2015 as: the year of the uncut diamond. When the year started many people thought it would turn out to be a lump of coal. But no, 2015 was no lumpy coal year. "Admiral Group's 2014 was the year of the Baked Alaska - hot and cold in a single bite. The hot? Profits emerging from our international insurance businesses, in ConTe in Italy, and record profits at Rastreator and LeLynx, our price comparison businesses in Spain and France, respectively. The cold? For the first time since we went public, Admiral Group did not post a record profit, but we still made a lot of money, had an enviable 52% return on equity and distributed 95% of our after-tax profits to our shareholders." 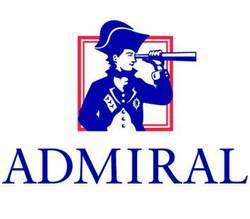 Car insurance specialist Admiral reported profit before tax up 6% to £181.4m in the first half-year (H1 2012: £171.8m). Earnings per share were up 6% to 50.1p (H1 2012: 47.3p) and interim dividend up 8% to 48.9p (2012: 45.1p).